Indians have won 3 Gold, 18 Silver medals and 4 Bronze medals in three Youth Olympic Games. 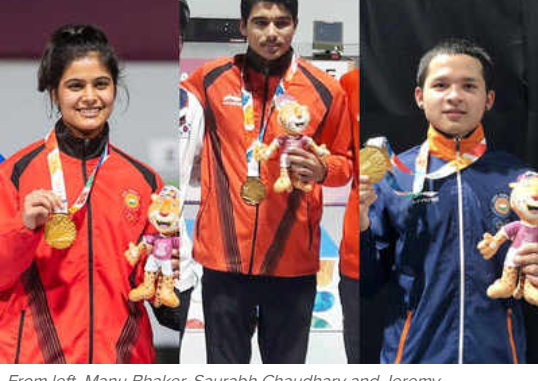 Jeremy Lalrinnunga became the first Gold medal winner from India in 2018, while before that Pooja Dhanda was the first medal winner for India as Indians won 6 Silver and 2 Bronze medals to finish 58th in 2010 Youth Olympic Games. In 2014 Youth Olympic Games, Indians won 1 Silver and 1 Bronze medals to finish Joint 64th. In 2018, on Day 1 Indians won 2 Silver medals. In 2018, Indians won 3 Gold medals, 9 Silver medals and 1 Bronze. Before 2018, Indians have never won a Gold medal Check names of medal winners.